Small scale grocery stores are thriving as a wave of consumers seek out niche items and personalized shopping experiences. While many supermarkets are experimenting with new innovations to entice their waning shoppers, simplicity is what’s winning crowds over. In particular, the act of catering to the surrounding community’s needs is making these establishments truly shine. Bodegas have been doing this for a long time, but now we’re seeing a movement to bring more elevated and curated product selections to the shelves. Here are some of the shops across that nation that we’ve got our eye on. This student founded salad joint that took D.C. by storm, has revived its original storefront as a market. 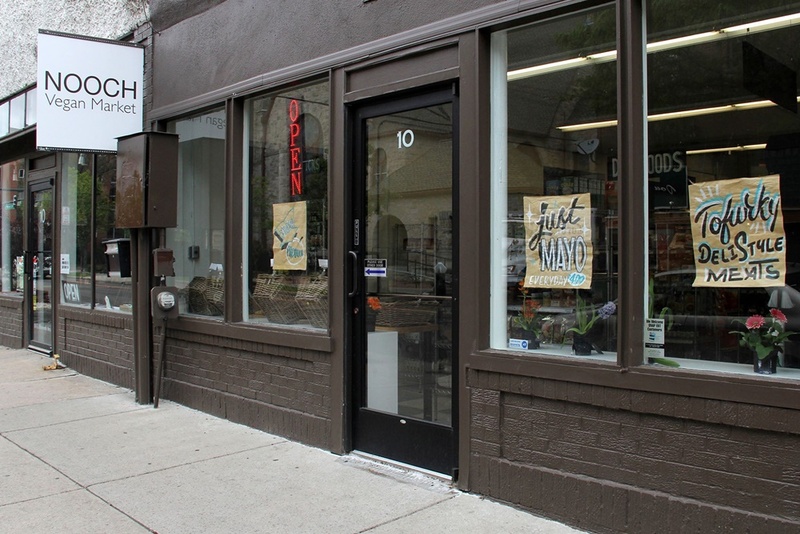 The space specializes in local produce and a curated selection of packaged foods. Serving as a go-between for local vendors and community, the shop breathes life back into the neighborhood by providing an element that it was sorely lacking: a grocery store. Additionally, the market offers discounts for Georgetown students and frozen yogurt to rave about. The innovative shared workspace company WeWork is providing retail space that not only caters to its members, but is stocked with the makings of its own members. This has fostered an even stronger sense of community as they explore the opportunity to share new products and receive peer feedback before those products become widely available. With plans to open 500 more locations, WeMRKT will only continue to provide its members a valuable platform. This shop centers around carefully selected, gourmet health foods. It’s an elevated grab ‘n go experience with fresh packaged foods, as well as food pantry staples and snacks. 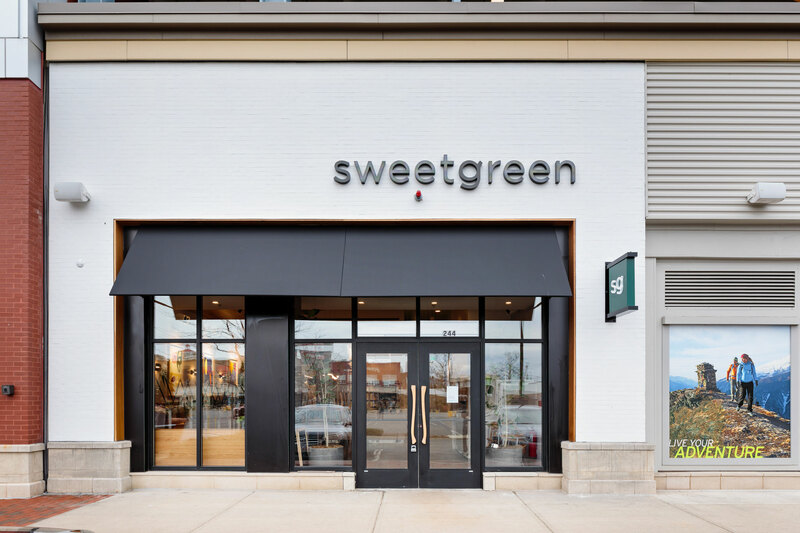 Only thoughtfully curated products with high quality ingredients populate the shelves at Clover, and the chic interior design of the store helps to induce a serene experience for the shopper. In a sea of 711’s, this market stands out as an exceptionally unique convenience store. The shop carries only ethically sourced, natural and health forward products. The concept leaning entirely on creating a sense of community; At the end of their transactions, customers are prompted to leave a “tip” which is donated to local charities. It’s also about avoiding food waste wherever possible, with their near-expired food items going to those in need and cosmetically damaged produce given a second chance to be bought. Package-free markets are gaining serious traction as an ecological way to shop. Products available for purchase range from cleaning supplies to kombucha, and are sold in bulk. The caveat is that it’s entirely B.Y.O.C. – bring your own container. The shop helps consumers eliminate packaging waste from day to day essentials by selling reusable items like shopping totes, utensils and other plastic alternative receptacles. Additionally, the space offers workshops to the community on zero-waste living, composting and DIY projects. This shop carries exclusively vegan products, but their wide array of goods is sure to suit all tastes. It’s fully stocked with delightful snacks, meal ingredients and fresh produce. It also showcases Colorado favorites like Dram’s adaptogenic sparkling water and Merf’s hot sauce. Situated on the corner of a neighborhood that once lacked a grocery for a few block radius, Nooch is all about providing wholesome and tasty products that all happen to be vegan. The Pearl Street gem most recognized for its excellent cheese and charcuterie selection is also home to a variety of high quality, locally sourced goods. The stock is ever changing, but offers a consistent selection of upscale grocery items. Colorado themed gift boxes mingling meats and cheeses with snacks, sweets and condiments can be purchased, but stopping by the store always guarantees the discovery of a new unexpected yet delightful food offering.